Wenzel Fuchs was born in Innsbruck, Austria, where he began his study of the clarinet with Professor Walter Kafer at the local conservatory. He continued his studies with Professor Peter Schmidl at Vienna University of Music and the Performing Arts, taking his degree with high honours. He also won awards from the Austrian Ministry of Science and Art the Jugend Musiziert competitions. During his studies he deputized regularly in all Viennese orchestras, including the Vienna State Opera Orchestra and the Vienna Philharmonic. At the age of 19 he become the solo clarinettist in the orchestra of Vienna Volksoper, followed five years later by a similar appointment in the Vienna RSO. Since 1993 he has been the solo clarinetist of the Berlin Philharmonic; he also teaches at the orchestra’s Karajan Academy. He has held a professorship at the Hanns Eisler University of Music (2008-13) and has been a visiting professor at the Geidai University in Tokyo. In 2015 he became a professor at the Mozateum University in Salzburg. Besides his many master-classes in Japan, Europe and the United States, he appears throughout the world as a soloist with such orchestras as the Tokyo Philharmonic, the China National SO, the Korean SO, the Berlin Symphony and the Berlin Philharmonic. His chamber music partners include Yefim Bronfman, Emmanuel Pahud, Andras Schiff, Albrecht Mayer, Mitsuko Utchido and David Gering o.a. 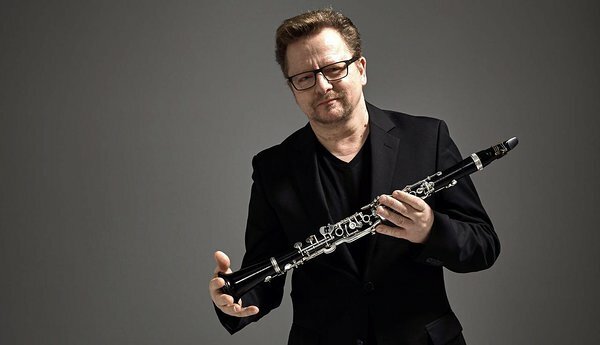 He is a member of the Berlin Philharmonic Wind Soloists, the Berlin Philharmonic Wind Ensemble, the Berlin Philharmonic Octet and the Chamber Orchestra Wien-Berlin.